Hate running out of slack when you're trying to water your garden? Pick up one of these expandable garden hoses and no flower or bush will suffer from lack of water on your watch! 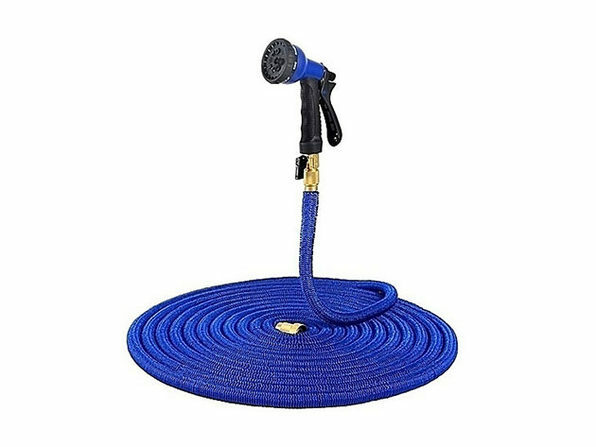 Made with a triple layer latex design that is more durable and longer lasting than other latex tubing, these hoses protect the inside and outside of the water pipe and will let you keep your garden lush for years to come.